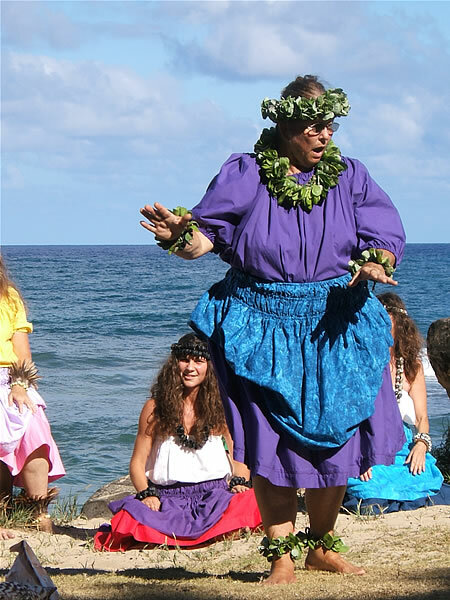 The theme of this year’s ho`ike was kahakai–seashore, and its setting, a stone’s throw from the ocean at Lydgate Park in Wailua, perfectly expressed this choice. 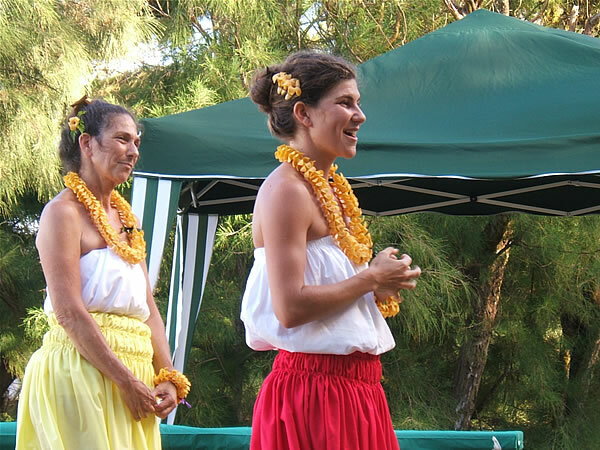 To prepare for the event, students learned several new mele, including Keahi Manea’s original composition Mele Kupe`e, gathered lei materials appropriate to this ecologic zone, and studied its complex environment. 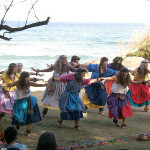 For many modern First World people, the seashore conjures thoughts of recreation and relaxation. 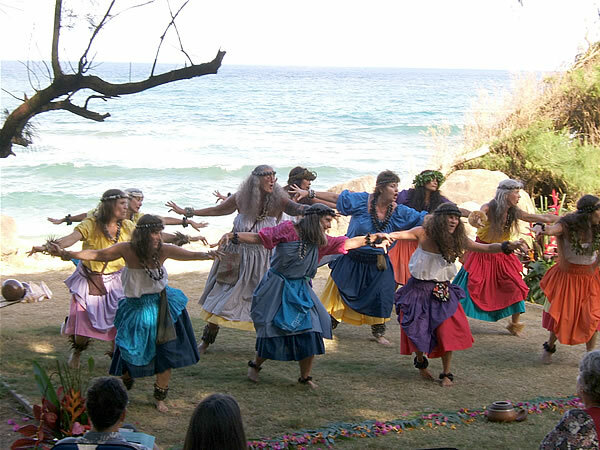 Tourism promoters throughout the tropical world exploit this association, using beach scenes to entice visitors. Glance at any rack of Hawaiian postcards, and you will probably see that images of the seaside predominate. Yet how much do these gleaming superficialities really tell? Try asking a lifeguard, biologist or `opihi picker how benign this environment is and you will get some very different ideas. Another meaning of kaha, “to scratch, mark,…cut…or slice” (from Puku`i and Elbert’s dictionary, p. 109) informs their experience. 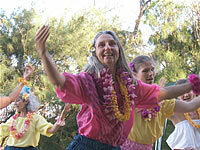 On mature islands like Kaua`i and the Northwestern archipelago, the ocean constantly claws away land. Travel to Puna on Hawai`i island, however, and you will see new land sinking its talons into the sea, or even, if you wait a few millenia, Lo`ihi seamount scrambling surfaceward. Chronically unstable, alternately soaked and scoarched, thrashed by wind, pitted by salt, kahakai is not an easy place for any plant, animal, or human to make a living. Survival here demands strength, resiliance, and courage. 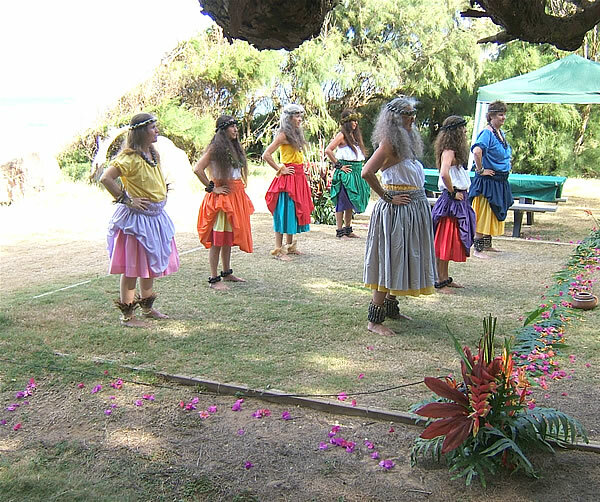 These are also, of course, qualities required of those who would study hula. 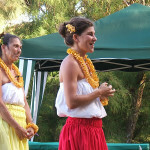 Our mele and hula celebrated many expressions of these qualities in the kahakai ecosystem. 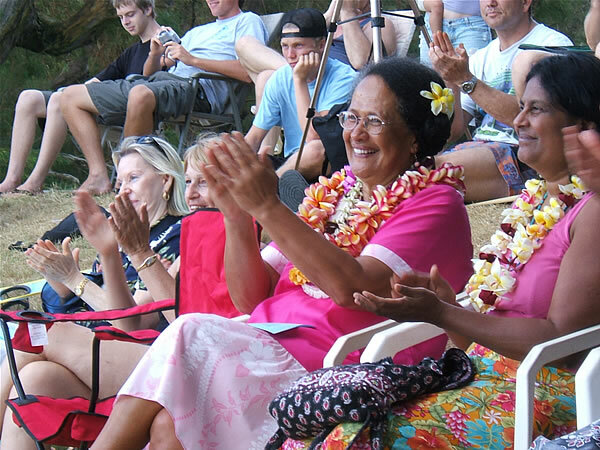 They also honor those, including the young man from Kapa`a who recently drowned not far from the ho`ike site, and the two visitors who perished the same day in Anahola, who learned at the cost of their lives how harsh and uncompromising kahakai can be. 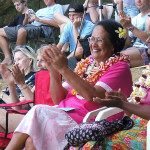 Much aloha and compassion to these people’s families and friends. 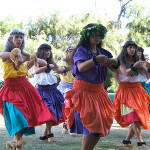 Among the mele and hula were some old favorites such as Ku`u i ka Po `Ele`ele, Aia i Moloka`i Ku`u `Iwa, and Po`ipu. 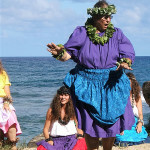 We also premiered a new version of the very old favorite, He Mele no Kane. 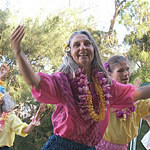 This featured Fran Nestel as a solo performer surrounded by a gaggle of persistent questioners, perhaps reprising her many years of teaching school kids. This innovation was big hit with the audience. 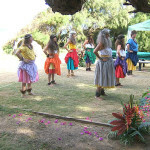 Another was a impromptu group hula that opened the auana segment. 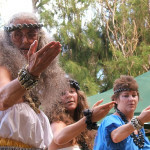 It did not take much urging to get about half the audience onstage to join in dancing that old hapa-haole favorite Hukilau. 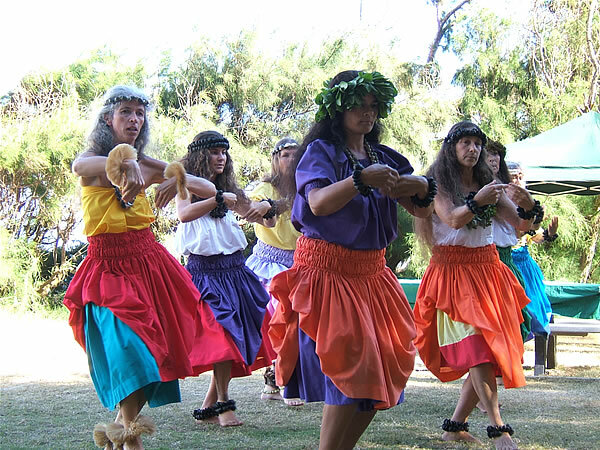 We included this not just as a crowd-pleaser, but to illustrate the cultural values that it expresses, especially the necessity of hard work, persistence, co-operation and aloha. 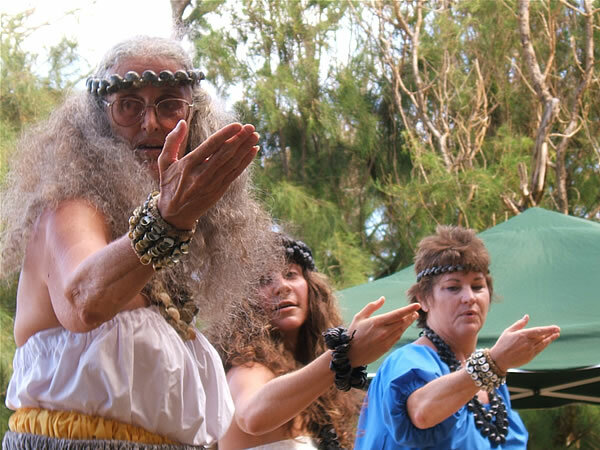 All of these enabled Hawaiians to survive the rigors of the kahakai.